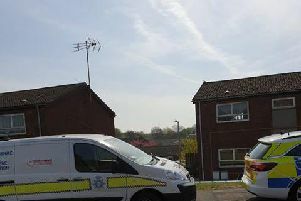 A 26-year-old man has appeared in court after a man was shot in the thigh in Kirkby. Ashton Dellamonica, of Vernon Road, Kirkby, appeared at Mansfield Magistrates’ Court today, charged with GBH and possession of a firearm with intent to endanger life. The shooting incident took place on Southwell Close on Monday, August 6, at around 9pm. Nick Walsh, for Mr Dellamonica, argued that his client should be bailed with conditions, including living at another address, being electronically tagged, and reporting to a police station on a daily basis. He was remanded in custody until September 7, to appear via video-link at Nottingham Crown Court.